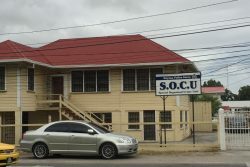 (Trinidad Guardian) Dis­charge of gas caused the evac­u­a­tion of staff in the Area Con­trol Cen­tre of Pi­ar­co In­ter­na­tion­al Air­port, dis­rupt­ing air traf­fic ser­vices and re­sult­ing in de­lays in flights yes­ter­day. 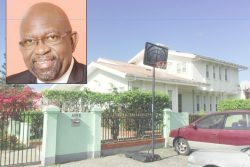 Ac­cord­ing to in­for­ma­tion from the T&T Civ­il Avi­a­tion Au­thor­i­ty, the prob­lem de­vel­oped around 12.30 pm when there was a dis­charge of FM200 gas. It oc­curred dur­ing the rou­tine main­te­nance of a fire sup­pres­sion sys­tem by an ex­ter­nal con­trac­tor: “Con­tin­gency mea­sures were put in place to en­sure the con­tin­ued safe op­er­a­tion of air­craft in flight and for de­par­tures at air­ports with­in the Pi­ar­co Flight In­for­ma­tion Re­gion,” the Au­thor­i­ty said. The sit­u­a­tion was even­tu­al­ly brought un­der con­trol and full op­er­a­tions re­sumed at the air­port at 3 pm. How­ev­er, the evac­u­a­tion and de­lays con­fused some pas­sen­gers and peo­ple wait­ing to col­lect ar­riv­ing pas­sen­gers. By­ron Sker­rit said he was wait­ing for a rel­a­tive to ar­rive on a flight from Grena­da. He got to the air­port at around 2 pm since the flight was sup­posed to land at 2.35pm. As he gazed at the small screen an­nounc­ing ar­rival and de­par­ture times in the air­port’s ter­mi­nal, he said he was at a loss as to when the flight would ar­rive. 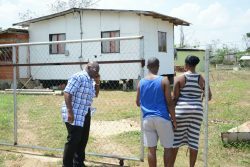 “You see, it’s say­ing the flight is de­layed but there is no new ar­rival time so I just have to wait for word from my rel­a­tive on when they are leav­ing Grena­da,” he said. Sker­rit said no an­nounce­ments were made while he was wait­ing. The flight from Grena­da even­tu­al­ly land­ed at 5.30pm. 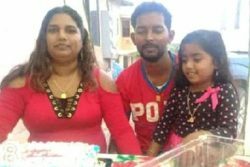 Sabi­ta Per­sad, who was wait­ing for her son to ar­rive on a flight from Guyana breathed a sigh of re­lief when his plane touched down at 4.15 pm. She said she had been wait­ing for more than three hours. 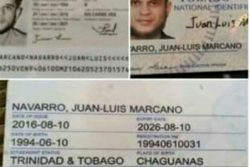 “We were not giv­en any in­for­ma­tion on what was hap­pen­ing or why the flight was de­layed, so I have just been wait­ing here with­out a clue,” Per­sad said. Guyanese at­tor­ney, Teni Housty, came in on the same flight as Per­sad’s son. 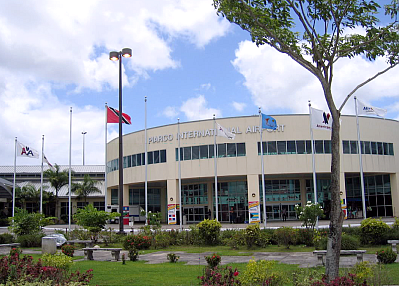 He said at the Ched­di Ja­gan In­ter­na­tion­al Air­port in Guyana, an an­nounce­ment was made that there was an is­sue in T&T air­space and no flights were be­ing al­lowed to land. Housty said his flight was de­layed for an hour.